Yay! I just got back from vacation and found out that Frisco Kids is #2 on Red Tricycle's list of their favorite Bay Area Mom and Dad Bloggers. And we're joined by good friends Travel Savvy Mom (where I'm a contributor), Frog Mom in California and a Little Yumminess, both of whom I've either highlighted on my blog or on Facebook for their excellent posts. 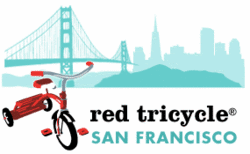 If you haven't seen the Red Tricycle SF website before, check them out. They have a lot of great articles on Bay Area activities and fun things to do. I've been on their email list for awhile now. 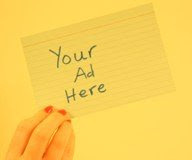 I look forward to checking out the other blogs listed there too! Get your tickets to Honk! 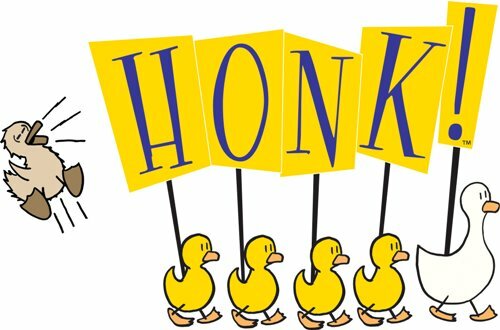 a musical stage adaptation of Hans Christian Anderson's the Ugly Duckling Tale. It's being performed by the Pied Piper Players, a great children's theater group in San Mateo. According to the theater group, it's "the story of Ugly, whose odd, gawky looks instantly incite prejudice from her family and neighbors. Separated from the farm and pursued by a hungry cat, Ugly must find her way home." Of course there's a happy ending and a life lesson too. 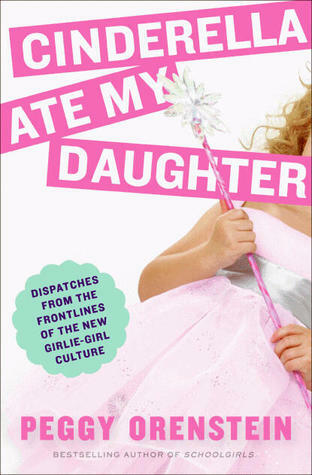 I'm a sucker for books with awesome titles, like Cinderella Ate My Daughter, by Peggy Orenstein. But Orenstein is a really good writer. She lives in the East Bay, writes for the New York Times Magazine and O, the Oprah Magazine among other publications. An explanation of the book is below. Orenstein will be talking about her book at Kepler's Bookstore on Thursday, February 24th at 7 p.m.
"The acclaimed author of Schoolgirls reveals the dark side of pink and pretty: the rise of the girlie-girl, she warns, is not that innocent. Pink and pretty or predatory and hardened, sexualized girlhood influences our daughters from infancy onward, telling them that how a girl looks matters more than who she is. Somewhere between the exhilarating rise of Girl Power in the 1990s and today, the pursuit of physical perfection has been recast as a source-the source-of female empowerment. And commercialization has spread the message faster and farther, reaching girls at ever-younger ages. But, realistically, how many times can you say no when your daughter begs for a pint-size wedding gown or the latest Hannah Montana CD? And how dangerous is pink and pretty anyway - especially given girls' successes in the classroom and on the playing field? Being a princess is just make-believe, after all; eventually they grow out of it. Or do they? Peggy Orenstein found out that he stakes turn out to be higher than she-or we-ever imagined: nothing less than the health, development, and futures of our girls. From premature sexualization to the risk of depression to rising rates of narcissism, the potential negative impact of this new girlie-girl culture is undeniable-yet armed with awareness and recognition, parents can effectively counterbalance its influence in their daughters' lives. Cinderella Ate My Daughter is a must-read for anyone who cares about girls, and for parents helping their daughters navigate the rocky road to adulthood." --San Francisco Ballet - $49 for 2/26/11 show. And there's more. Get your discount sheet here. It's free. Or just ask about the Yelp discount. Celebrate Black History Month with some great family activities at the Museum of the Africa Diaspora. 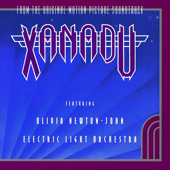 When: Saturday, February 19th, 11 a.m. to 6 p.m.
Oh my, do I have memories of Xanadu! Like Kim's birthday party where we rented the movie and watched it while eating popcorn. I guess you had to be there. I'm sure you have your own Xanadu memories, of Oliva Newton John. After the silver screen (or should I say the TV screen), it became a Broadway musical. And now it's coming to the Retrodome. Take the kids! Or get a babysitter and relive your youth on a date. If you somehow missed this cult classic, it's about a Greek goddess on roller skates in the 1980s. You'll get to hear 11 songs from the movie, including my favorites Xanadu (title track), and You Have to Believe We are Magic (both of which I can still sing). Tunes sung by ELO and Olivia herself. Awesome! The show is 90 minutes without intermission (i.e. there is no intermission). Tickets: $44/adults, $24/kids 12 and under, $34/students with ID. Buy online or at the box office. Retrodome, if you're reading this, PLEASE change your website to include links to specific pages not just the home page! I've blogged here before on the San Francisco school system. Some parents are happy with it, others aren't. We have some friends who tried doing the public school thing with their three kids for six or seven years (three kids in three different schools), and they finally ended up going the private option. Anyway, one of Frisco Kids' readers told me about a seminar coming up, giving information on moving to Marin. If you're curious, read on. Today we have a guest post from Leah Ingram, author of Toss, Keep, Sell! The Suddenly Frugal Guide to Cleaning Out the Clutter and Cashing In (Adams Media, 2010). She also writes the Suddenly Frugal blog, and the accompanying Suddenly Frugal book which I reviewed here last year. One of the primary focuses of my new book Toss, Keep, Sell! The Suddenly Frugal Guide to Cleaning Out the Clutter and Cashing In is making the most money possible from your stuff. In the book's last chapter, I focus on learning how to swap what you own for other stuff. I chose this topic because, let's face it, not everything you own is worth enough that selling it on eBay or at a yard sale is a good use of your time. However, those items may have an intangible value that make them ready made for swapping. For today's guest blog posting, I'm going to focus on books and DVDs, something I'm confident any family with kids has and which are two items that are ideal for swapping. As far as movies go, it's important that you have the original case the DVD or VHS came in. Otherwise, most swapping sites won't accept them, for fear they are pirated copies. * Look for hard cover and paperback books you’ve read and aren’t interested in keeping or don’t want to read again in the future. * Give your books’ condition a thorough consideration. Books that have torn or missing pages, writing in them or a musty smell don’t do well for swapping. Plus, they have no place cluttering up your bookshelves. Get rid of them! * Start a book-swapping box or bag where you can store the books you identify as having swapping potential. * Find a book-swapping site you like so you can start trading your old books for new books you want to read. Two I like are Bookmooch.com and PaperbackSwap.com. If you are gung-ho on getting cold, hard cash for your books and movies, I would recommend looking for resale shops geared towards children and teens, such as Once Upon a Child and Plato's Closet. These stores--and perhaps other consignment shops in your area--often give you cash on the spot for used books and movies that their shoppers with young kids would be interested in purchasing. You won't get rich doing this but you might end up with a few extra bucks in your wallet--and less stuff on your shelves and in your closets. Thank you Leah! When my daughter was born, we bought her crib bedding and stroller (plus a lot of Dr. Seuss books) from Once Upon a Child. Unfortunately the Mountain View location is no longer in business. To sell (or buy) kids' items (call first to see if they buy/sell books and movies), there's a Plato's Closet in San Mateo, Lovely Bump in Burlingame, Chloe's Closet in San Francisco, Marin Kids Consignment in San Rafael, Peekaboutique in San Francisco, Maternity Exchange in San Francisco and They Grow so Fast in Lafayette. And you won't make any money from this, but you can get free items (by swapping some of your own) at various Peace, Love, Swap events. Here are some lovey happenings you can do with your kids this Valentine's Day. San Francisco Zoo: Shower the zoo's new hippo with hearts and hugs. Bring a card for the hippo and get $1 off admission. This is no 7 pound baby. No, this one weighed 3,700 pounds, and was born on January 7th. When: February 12 and 13 from 10-4. Habitot: Bring art supplies to make Valentines and receive a free adult admission during Habitot’s Week of Valentines. Young kids can make heart-themed art for their loved ones at different interactive stations. Come during regular hours (Monday-Thursday 9:30-12:30; Friday-Sunday 9:30-4:30) to share the love. Free adult admission with art supply donation; otherwise, regular admission rates apply ($8.50 per person). Habitot is in Berkeley. Laurel Street Arts - you and your kids can paint your own heart shaped vases, boxes and more. An afternoon of fun - for half price (studio time for kids) on Valentine's Day! Laurel Street Arts is in San Carlos. If you can't make it there, other paint-your-own pottery places probably have some fun stuff too. Here are their weekly specials: half price studio fee for kids all day Monday. Two people can paint for one studio fee all day Thursday, (kids and/or adults). All day Sunday, two adults and two kids can paint for only $14 plus the cost of the pottery. Children's Fairyland - February 13-14th, Children's Fairyland has a number of fun programs. Check out shows like Buki the Clown, the Gingerbread Boy puppet show, crafts and animal of the day. Kids Night Out - put the kids with Habitot, the Exploratorium and Tree Frog Treks so you can enjoy a Valentine's Day out with your honey. If you're a teacher, you probably have heard of SCRAP (Scrounger's Center for Reusable Art Parts). But if not, you'll find that this nonprofit organization collects all kinds of things that are given away or donated - from paper, cards and yarn, to corks, beads, buttons and other random things. Everything is either free, or low cost to purchase. You don't have to be a teacher to enjoy SCRAP. They have craft workshops all the time, mostly for adults, on topics like recycled glass, embroidery and making specific types of things. And if you want to do your own projects, stop by and go shopping! SCRAP has a monthly teacher give-away, of free items like crayons and file folders. Take advantage of it by visiting this month's, on February 5, from 10 a.m. to 4 p.m. SCRAP is at 801 Toland Street (Bayview part of SF). After this year's World Series, who in the Bay Area ISN'T a Giants fan? The 19th annual Giants Fan Fest is this Saturday, February 5th from 11 a.m. to 3 p.m. You can get autographs from players, see the World Series trophy, and even sit in the dug-out. And it's FREE. For more details on the Giants fan fest, click here. Three local kid museums/organizations are hosting parents' night out so you can spend a kid-free evening with your honey on (or around) Valentine's Day. When: Monday, February 14 from 5:30-9:30 p.m.
What: They'll take kids ages 2-7. While there, the kids will make Valentine’s cards in the Art Studio and play in the museum. Pizza is included . Cost: $30 for the first kid, $20 per sibling. When: Saturday, February 12 from 5:30-10:00 pm. What: Members only. Kids 5 and older. Group games, museum exploration and special activities. Cost: $40 for the first kid. $25 per sibling (up to 4 per family). Optional pizza dinner $5 more. RSVP: download registration form here. And other organizations host them on a regular basis. See the Frisco Kids' list of them here. The Hills are Alive...with your voices! Take the kids to the sing-a-long Sound of Music, and you can belt out greats like "just a spoon full of sugar," "do re mi," and "how do you solve a problem like Maria?" with your kids covering your ears (well, maybe that's just my kids). It's coming up at the Retrodome in San Jose. Tickets: buy them at the door or at the Retrodome website.